I recently got the opportunity to try some of Oille Organics' skincare products in collaboration with their #BeautySmarter social media movement. I love working with indie green beauty brands like Oille Organics because their organically crafted products are always effective and straight-to-the-point. I've discovered so many top shelf worthy products from these social media collaborations. The brand sent me two of their eye products (one serum and one cream) and a facial toning mist. I want to start off by talking about the eye products because I have completely fallen for them. Holy grail status, I kid you not. I don't normally find eye products to be impressive. Simply put, dark undereyes or wrinkles are not major problem areas for me. I guess that's the plus side to monolid eyes and oily skin? However, these two really blew my expectations out of the water. First off, the eye serum's packaging is so thoughtful. The metal rollerball makes applying this eye serum a dream. It's cooling and distributes the perfect amount of product to the eye area. Furthermore, the grapeseed oil-based serum feels weightless. It's not greasy at all and soaks in completely when you pat the serum into your skin. The eye cream is a bit heavier at first but it's so hydrating. I find that I can use this in the morning without it breaking down my eye makeup. When my eyelids get dry from allergies, I use this product to soothe the skin around my eyes. It works great in conjunction with the eye serum. After I use the duo, my skin looks super glowy and plump. I've been using this toner morning and night for the past couple weeks. Now that the weather has gotten warmer, the light citrus scent is super refreshing. I don't know why but I tend to associate citrus skincare products with stinging. However, this toner is super gentle. Overall, it makes my skin look a lot healthier and brighter after incorporating this into my skincare routine. I believe this is due to the green tea extract and MSM. 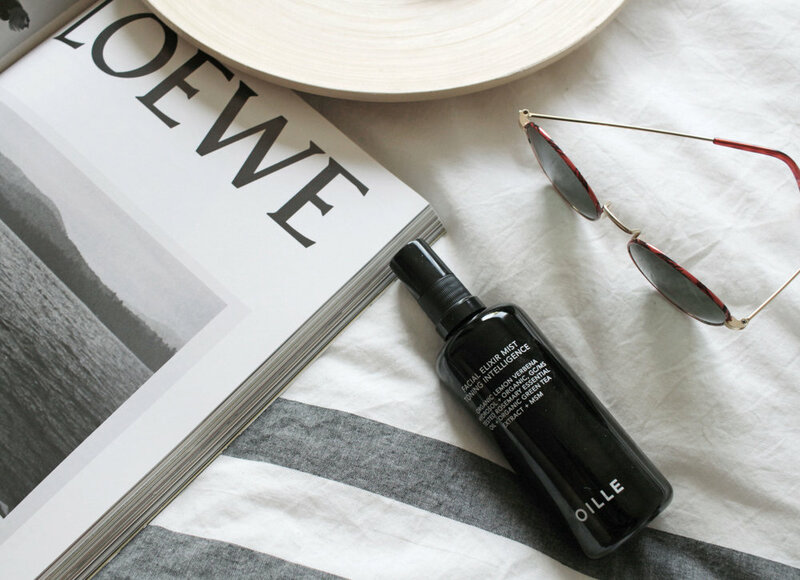 If you want to get a head start on anti-aging skincare, Oille Organics is the way to go. All of their products incorporate anti-aging aspects to it and are suitable for most skin types. Special thanks to the brand for sending me these products to try and review.